If you’ve recently received a letter from Frank or saw one of their adverts and want to know what they provide, then read our review of their features, benefits and exclusions so you can make a fully informed decision. Frank Health Insurance promises to offer you cheap, online health cover. Providing consumers with the freedom to choose from a range of policy options to cover a wide selection of medical services and treatments. Frank private health insurance strives to remove insurance confusion by letting you buy, claim, and manage your policy online, from the comfort of your home. You can choose from a range of options, giving you the flexibility to take out standalone cover or pair it with other products. Alternatively, you can choose one of their existing, neatly packaged bundles of cover. ComparingExpert does not currently have access to this provider. Visit www.frankhealthinsurance.com.au to request a quote and compare their price and benefits to the Australian private health insurance companies we have access to. Basic Hospital: Entry-level option, which provides cover for private patient care in a public hospital. This option is also available with some private hospital cover for common procedures, like appendix removal, hernia repair, etc. but it will involve an extra fee. Better Hospital: Mid-level option, which combines the benefits of private health cover, without the super high premium. It covers public hospital accommodation and a shared room in a private hospital. You can get partial cover for a single room in a private hospital with co-payments. Best Hospital: Comprehensive option, which covers you for a private room in a private hospital. You can also choose to take out a Best Hospital policy without any pregnancy cover. Choose to add more Gap cover to my policy. Do I pay an excess? SINGLES will pay $500 a year. COUPLES/FAMILIES will pay $500 per person up to $1,000 per family, per year. SINGLES will pay $500 a year. COUPLES/FAMILIES will pay $500 per person up to $1,000 per family, per year. Eye surgery (includes cataract surgery, eye lens procedures, and corneal transplants). Although you can choose to remove this cover and reduce your premium. Weight loss related surgeries (including gastric banding or gastric bypass). Joint surgery For Joint Investigation & Joint Reconstruction. For Joint Investigation & Joint Reconstruction. For Joint Investigation, Joint Reconstruction & Joint Replacement. Palliative care (to relieve pain and suffering if you have a life-threatening illness). Psychiatric services (including the in-hospital treatment of a mental illness or addiction. Minor gynaecology (including laparoscopy, hysteroscopy, dilatation & curettage (D&C), and some minor cervical procedures). Heart surgery (including treatment of the heart and blood vessels). Rehabilitation servicesto help with recovery and restore independence after illness/injury through physical therapy and exercise programs. Colonoscopies (including procedures to detect changes or issues in the bowel). Gastroscopies (including procedures to check the upper digestive tract). Frank’s Extras, also known as ancillary cover, includes insurance for treatments like dental, optical, physio, chiro, and other therapies. Because these treatments aren’t usually done in a hospital, your hospital policy won’t cover them, and neither does Medicare. Frank offers you the choice between Some Extras and Lots Extras. Some Extras: Choose between a policy that gives 50% back or one that gives you 80% back on common treatments like optical, dental, and physio. Lots Extras: Choose between a policy that gives you 50% back or one that gives you 80% back on treatments, like podiatry, psychology, and travel vaccinations. This option also lets you enjoy bigger benefit limits. Frank provides customers with the opportunity to bundle hospital cover with extras cover as a pre-packed option. Starter Bundle: Ideal for healthy individuals looking for affordable health cover. 60% back on popular extras. Hospital services for accidents only: Private patient benefits in a private or public hospital. Public hospital cover for: Psychiatric, rehabilitation and palliative care. Extras cover for: General dental, major dental, orthodontic, travel vaccinations, chiropractic, osteopathy, physiotherapy, hydrotherapy, myotherapy, exercise physiology, naturopathy, homoeopathy, acupuncture, remedial massage, and dietetics. Essentials Bundle: Purchasing this bundle provides you with the benefits of procedures in private hospital with a wide range of extra services. 60% back on popular extras. Hospital services: Private patient benefits in a private or public hospital: Accidents, colonoscopies, gastroscopy, heart surgery, joint investigation, joint reconstruction, minor gynaecology, emergency ambulance and more. Extras cover for: General dental, major dental, optical, orthodontic, travel vaccinations, chiropractic, osteopathy, physiotherapy, hydrotherapy, myotherapy, speech therapy, exercise physiology, naturopathy, podiatry, homoeopathy, acupuncture, remedial massage, and dietetics. If your membership has been suspended. If you received the treatment overseas. If you bought the drugs from outside the hospital, like from a chemist. If your policy states that it doesn’t cover the treatment. If you can get the treatment from the government for free, and you can review what the government covers by looking here. If you haven’t served the stipulated waiting period or benefit limitation period. If you hire equipment, like crutches, unless otherwise stated. If you received the treatment, you are claiming for more than a year ago. If you received treatment from a relative or business partner. If you received treatment from someone, who doesn’t work in private practice for a registered hospital or another organisation not recognised by Frank. Who owns Frank Health Insurance? Frank Health Insurance was established in 2009 and is owned by GMHBA, a not-for-profit, member-based company with over 75 years’ worth of experience in offering health insurance options. In 1934, a group of workers from the Australian Cement Company in Geelong, Australia, founded GMHBA Health Insurance to offer cover that will suit the needs of a wide range of Australians. Do I pay an excess when I have Frank Health Insurance? Yes, there are times when you will pay an excess, for instance, when you are admitted to hospital. In fact, all of Frank’s hospital cover options include an excess. The maximum amount you’ll pay for a singles policy each year is $500 to $1000 for couples and family policies. Can I reduce my excess amount? Yes, you can choose to pay a higher excess at claim stage, and in doing so, you will lower the cost of your premiums. How long will it take for Frank to pay my claim? If your claim has been approved, Frank will pay your claim directly into your bank account within one to two business days. How do I contact Frank Health Insurance? Frank Health Insurance has made it easy for you to find what you need by simply visiting their website. Navigate to their informative FAQs or online chat functionality. If you would like to get in contact directly, you can email [email protected] or call 1300 437 265.
Review Frank health insurance and compare their products to similar health cover products to make sure you’re getting the best value for money. What’s suitable for one person, might not be suitable to another. Shop around. How does Frank Best Hospital cover compare with AHM’s white deluxe policy? To properly compare Frank to AHM, we require a bit more personal information from you. What might be well suited to one person, might not be best for your unique requirements. Please fill in the quote form above and a specialist will contact you. However, what I can tell you is that Frank’s Best Hospital cover with pregnancy costs about $33.70 per week, whilst AFM’s White Deluxe Hospital cover costs $29.50 per week. Take note that on the 1st of April 2018, health insurance premiums will rise by an industry average of 3.95%. Premium price should of course not be the biggest determining factor when choosing the best health insurance company. We encourage you to start your search by first considering your needs as they pertain to your age and overall health, how frequently you travel, whether you’re single or not, and the maximum out-of-pocket payments you’re willing to accept. Does the Essential Bundle cover cancer treatments, this is a question I forgot to ask while getting quotes. If you are an Australian citizen, then the Pharmaceutical Benefits Scheme (PBS) will reduce or cover the cost of prescribed medications and treatments, like chemotherapy, radiotherapy and specific drugs. 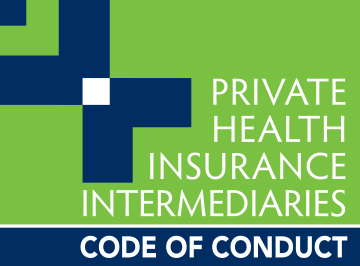 Depending on your level of cover, private health insurers will then usually cover the costs of you receiving the treatment as a private patient in a public or private hospital. The Extras cover provided will then help cover the cost of out-of-hospital services. According to Frank’s website, the only cancer-specific treatment they don’t cover is comprehensive head and neck cancer examination and risk assessment. However, it is best to contact them directly or call our consultants on 1300 786 328 for further assistance.